What does the future hold for Vancouver’s Chinatown? On Thursday April 27, Atkin and Senior Planner for the Downtown Eastside Tom Wanklin will speak about Chinatown’s clan and association buildings and how the societies they housed helped Chinatown survive and prosper in the face of discrimination, disenfranchisement and threats of urban renewal. 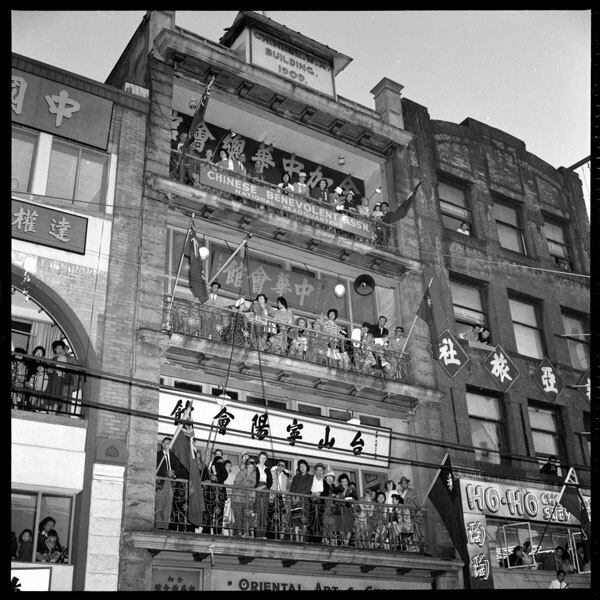 Built in an era when mutual support was necessary for the city’s Chinese immigrants, clan and benevolent societies provided housing, fast payday loans and other social supports to a tight-knit bachelor community. They also helped settle disputes and oversaw the return of remains to China when somebody died. Today, the societies have evolved into social clubs and guardians of community heritage, says Atkin, who co-wrote Chinatown’s National Historic Site District application, and is currently President of the Chinese Canadian Historical Society. In time, Atkin hopes they could periodically host open houses to share their histories with the public. More than half of local food businesses like green grocers, fishmongers, and butchers have closed in the past six years, according to a study by the Hua Foundation. Atkin acknowledges that a big challenge comes from within; longstanding family businesses are closing in Chinatowns around North America, because shopkeepers are retiring and their children aren’t interested in taking over. But he also points to encouraging signs of revitalization. “It takes a couple of generations for folks to get re-involved,” he notes. “We’re seeing a younger generation take an interest in societies and in making sure that they don’t disappear.” Chinatown is also proving to be a draw for some third-generation Chinese entrepreneurs like Ryan Mah, the great-grandson of famous B.C. grocery store businessman H. Y. Louie. Mah, opened a Hawaiian poké restaurant on Main and Keefer last December, and is part of a recent wave of businesses injecting new life into the neighbourhood. 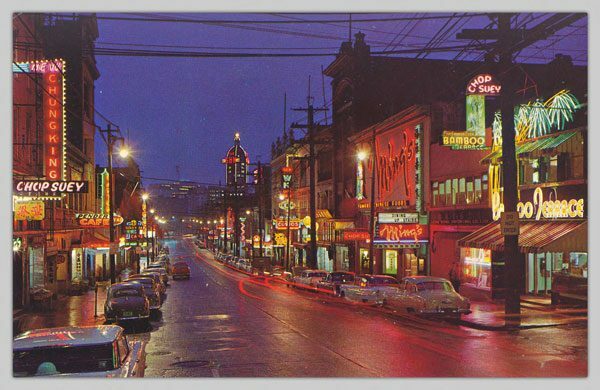 John Atkin and Tom Wanklin‘s talk on Vancouver’s Chinatown takes place this Thursday April 27 at 7:30pm at the Museum of Vancouver (1100 Chestnut Street). Part of the Vancouver Historical Society speaker series, the talk is by free for members, or by donation. Everyone is welcome to attend. Madeleine de Trenqualye is a historical researcher and writer who has worked for Parks Canada, the National Historic Sites and Monuments Board and multiple heritage institutions.